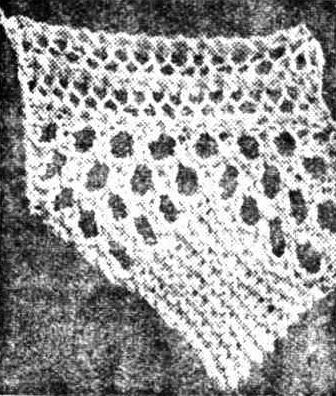 Today’s knitting pattern is Busy’s Edging from 1905. This knitted edging was sent in to the newspaper by “Busy”, who states that she “had this edging on a quilt for 18 years”, so it was probably originally published before 1885. I have updated the instructions into modern knitting terms, checked it for accuracy and added a chart. I hope you enjoy this latest addition to the Knitted Lace Edgings and Insertions collection!